Within every dog breed or developing dog breed, there is a level of health issues that may arise. While there is a lower incident rate when combining two different breeds (as opposed to breeding 2 members of the same breed), particularly in a first generation, there is still a risk of potential health risks. The reason why is that both parent breeds carry with them certain health risks. 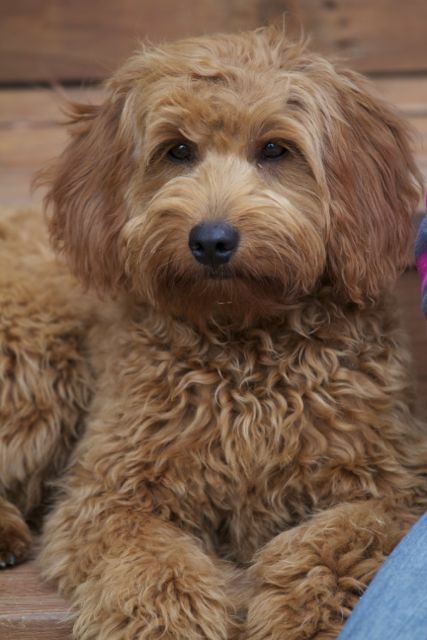 A good breeder knows what potential health risks are associated with the Doodle breed and does the proper testing to help avoid health issues from developing. Orthopedic issues like hip and elbow dysplasia: Both hip and elbow dysplasia occur within the Labrador Retriever and Golden Retriever breeds. It doesn’t follow a set genetic path, and it is thought to be polygenic in nature, which means there are multiple genes that help create dysplasia. It’s not a simple inherited defect. Further complicating the matter is that the environment can also enhance a problem or even create a problem in a perfectly healthy animal. Excessive weight, poor diet, and heavy exercise and repetitive joint stress (such as impact jumping and running) can all contribute to dysplasia. A breeder can help limit the amount of dysplasia in a pedigree through the use of OFA (Orthopedic Foundation for Animals) testing to certify normal hips and elbows on the parents. Owners of dogs also need to ensure a proper environment that supports healthy joint development. 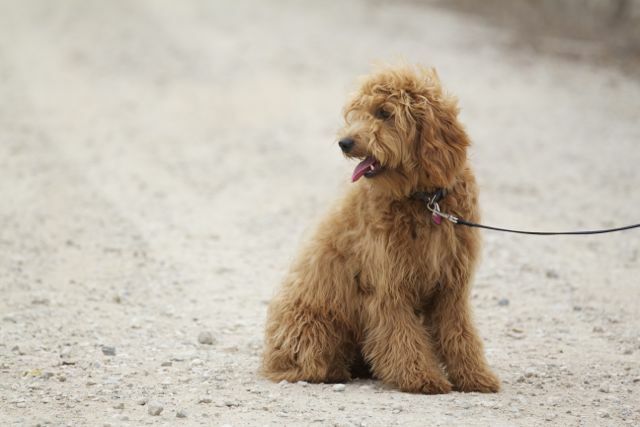 Patellar Luxation and Legg Calve Perthes: Both of these problems are more commonly seen in smaller breeds of dogs, and the miniature and toy poodle part of the Doodle can carry these problems. Legg Calve Perthes is a hip joint disorder that can cause a lot of pain in a dog as the blood supply is interrupted to the femoral head, leading to the death of bone cells. Patellar Luxation is related to the knee popping in and out of place. The way these issues are inherited is not fully known, so testing is the only way to help reduce the problem at this time. Eye problems like Progressive Retinal Atrophy (PRA): These eye issues can lead a dog to early blindness. To the naked eye, a dog will look perfectly fine, and in fact could produce many offspring before developing a noticeable problem. This is why testing is so important. A DNA test can help determine what dogs may be a carrier for eye problems like PRA so that 2 carriers are never bred together. Regular eye health exams can also help limit the spread of other eye disorders where a DNA test is not possible. Exercise Induced Collapse: This is an interesting problem that can occur with Retrievers where an actually quite fit dog will seemingly collapse following strenuous exercise and excitement. How severely an individual dog is affected depends on the dog but can range from imbalance and weakness to falling over. This is a condition passed on by a recessive gene, so it is important for a breeder to do DNA testing to find out which dogs are clear, carriers, or affected and breed accordingly to avoid passing the condition onto offspring. Von Willebrands Disease: This is a bleeding disorder that is similar to hemophilia in people. Dogs that are affected with the disease will bruise and bleed from the most minor of incidents, including vaccinations. DNA testing allows a breeder to ensure that no dogs being used for breeding are carriers of the disease. Heart health: Breeding dogs can be checked for heart problems. Currently the OFA will pass a dog as cardiac normal if the dog doesn’t possess a heart murmur at all or if it is innocent. There are other health conditions that can arise, but in those diseases, there currently isn’t any type of preventative testing that can occur. Instead, conscientious breeders need to know the pedigree line they are working with in order to avoid as many health problems as possible. Many potential diseases where a DNA test can be done, such as Progressive Retinal Atrophy, Exercise Induced Collapse, and Von Willebrands Disease, are conditions that are spread through recessive genes. A DNA test will let a breeder know what dogs may be carriers (posses the gene but not be affected), affected (have the gene and the disease), or clear (neither have the gene or the disease). This knowledge allows only those dogs that are unaffected to be bred. Any dog that is a carrier can be left in the gene pool but must be bred to only a clear dog. Two carriers should never be bred, and affected dogs (even if symptoms are not present) should also not be bred. In those diseases where the inheritance is polygenic or unclear, such as orthopedic issues like dysplasia and patellar luxation, x-rays, examinations, and health clearances are the only way to help limit the spread of the disease. It’s not fool proof, but it the best method currently available. Science is always changing, and new health tests and methods will become available. It is hoped that many more health problems can be limited in the future through further tests, as they become available to breeders. Parents (including Grandparents/ Great Grandparents) have testing and certification of Clear/Normal health for Hips and Elbows (no dysplasia) Heart, Eyes (by the ophthalmologist), Thyroid, Patellas and in good overall health. Parents DNA is also tested Clear/Normal so insure your puppy can not inherit the following: PRA Progressive Retinal Atrophy (blindness), PRCD Progressive Rod-Cone Degeneration (blindness), Von Willdebrands 1 & 2 (hemophilia), Degenerative Myelopathy (Lou Gehrig’s Disease), Dystophic Epidermolysis Bullosa, GM2 Gangliosisdosis, Ichthyosis, Neonatal Encephalophay with Seizures, Ostepchondrodysplasia, Ostogenesis Inperfecta, Sensory Ataxic Neuropathy, Cystinuria, Centronuclear Myopathy, Elliptocytosis, Exercise-Induced Collapse, Hereditary Nasal Parakeratosis, Hyperuricosuria, Muscular Dystrophy, Myotubular Myopathy 1, Narcolepsy, Pyruvate Kinase Deficiency, Retinal Dysplasia/Osculoskeletal Dysplasia 1, Skeletal Dysplasia 2. 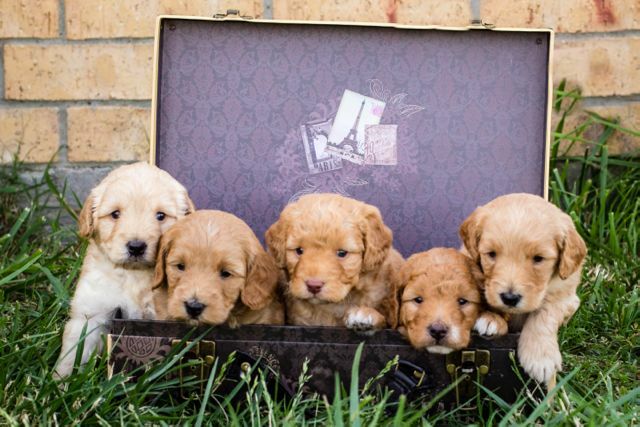 Our goal as the breeder of your future puppy is to produce the healthiest litters because of our diligent testing protocol and superior genetics.